Video content is part of a competitive web marketing strategy. 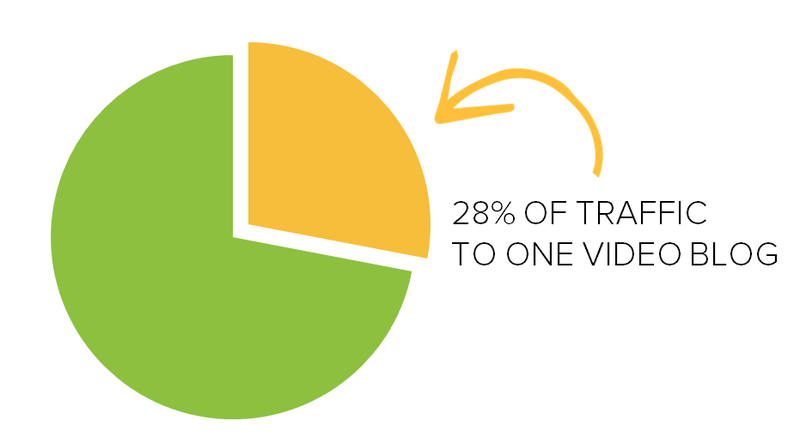 That’s clear by the fact that 70 percent of marketers are making video a top priority this year. Our longstanding client, a company that runs a technology news site, understood the value of video early on (since we began offering video marketing services in 2010). Its marketing team knew video content would help convey information in a quick format that’s highly engaging. Brafton’s strategists worked with the company to build one of our first video blog strategies, producing short daily digests of tech updates. Since we first launched this campaign, video marketing has become more popular and the landscape has evolved; i.e. video is everywhere and you have to do more to stand out. 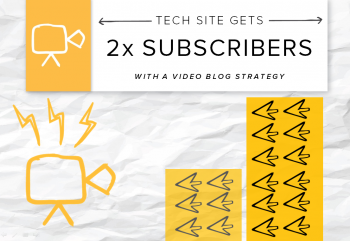 Just having a video on your site isn’t enough to provide a competitive advantage. We knew there were more opportunities to build the brand’s visibility with an updated approach that better catered to searchers. To reach the client’s goals of increasing visibility with video blogs, our content marketing strategists took a two-pronged approach that included both search (with a particular focus on Google News inclusion) and social media (YouTube). This adds specificity to each video, but more: It makes the headlines searchable. Unless someone is familiar with your video series and regularly views it, they may not search for ‘Tech update for May 21.’ However, they might search for Apple announcement – and if your video is appropriately optimized for search – it could come up as a top result. When content is easy to find through search, it provides publishers with more visibility, brand awareness and traffic. We brought the same updates to the brand’s struggling YouTube page. At the outset, it was getting 0-5 views per video through YouTube, so the content clearly needed a visibility boost. When content is easy to find through search, it provides publishers with more visibility, brand awareness and traffic. Those are exactly the results this client saw with the updated video marketing strategy. 1. Google News was picking up the videos, and the client was seeing surges of traffic coming from search. In fact, one of the client’s videos that was featured in Google News was driving so much traffic to the site that it was responsible for over a quarter of all Pageviews to the video content. 2. The branded YouTube page was driving more traffic and attracting subscribers. Since Brafton’s team updated the YouTube strategy, we’ve seen the number of subscribers double and a tremendous increase in search visibility. Now, the videos get the majority of views from search. This suggests the content is reaching wider audiences of prospects who are browsing for related information, which in turn increases the brand’s visibility. While we’re already making headway on the client’s goals, we’re ambitiously moving forward to further this initial momentum. Next on the docket, our content marketing strategists plan to add YouTube transcripts for discoverability and give into YouTube Analytics and Google Analytics integration to better measure results. Do you even video, though?